← Privacy, what is (or was) it. The telecom company América Móvil (described as Movil below) has published its intention to take over all shares of KPN (the former incumbent telco based in The Netherlands. Europe). In the press many are guessing what the intentions and plans of Movil and its Mexican owner, Carlos Slim, are. Most of these reports mention the announced intention of KPN to sell its successful mobile E-Plus division in Germany to Telefónica, the main competitor of Movil in South and Central America, as the reason. The possible tactical move to prevent the sale or not (to get a stake in Telefónica) is centerstage in the press debate. But what is lacking is an image about what the strategic motives of Slim c.s. might be, given that most telco’s in Europe have no clearly expression for a profitable future either. Classical Telephony- and SMS incomes are shrinking, the mobile market is saturated and the telco’s are rather clueless about making money in the computer world of internet, and in the turbulent world of media content. What does Movil know that Europe’s telcos do not see? 1. Movil is not very helpful to disclose much of their strategy right now. In a recent interview with the Financieel Dagblad Carlos García Moreno, financial director of Movil, and non-executive board member of KPN (Movil owns 30% of KPN right now), declared that the interest of Movil for KPN ownership is way beyond the E-Plus situation. He called KPN “a fantastic company with fantastic assets”, but “that the telecom company now needs a long term vision to unlock its hidden value“. “The offer to buy its shares is a natural evolution of the Mexican involvement in KPN”. Which means that Movil HAS such a long term strategy. So what is it? http://www.buddeblog.com.au/frompaulsdesk/america-movil-bid-for-kpn-reveals-bigger-strategies/ He allowed me to re-blog it here full lenght. When the Mexican telecoms and broadcasting magnate Carlos Slim –owner of the business conglomerate Grupo Carso –increased its stake in KPN from 4.8% to 27.7% (since raised to 29.8%) during 2012 and early 2013 the move proved to be just the beginning of a new wave of M&A activity and consolidation in Europe’s telecom market. It was also indicative of the success of large South American operators seeing opportunities in the depressed economies of Europe. América Móvil, the mobile division of Grupo Carso, is the major mobile services provider across the Americas and is the third largest operator group in the world by subscribers. Entering the Dutch market showed the group’s intention to increase the scale of its operations in Europe, since through KPN it had calculated that it would have access to Germany and Belgium as well. Since then a number of developments have made América Móvil’s strategy very interesting. For its part, KPN, like most other regional telcos, has been struggling to find its right path for the future. It remains in considerable financial difficulties, with domestic revenue having fallen 6.2% in the year to Q2 2013 and Group revenue having fallen 8.4%. Shareholders have been told not to expect a dividend for 2013 and 2014. The company is missing out on new higher value digital media services and at the same time it needs to continue investing in infrastructure. While looking for those high ROI services it always ends up on the commodity side of the business. As this has now been going on for more than a decade, with falling income from its traditional cash-cows (telephony and basic access) the company is increasingly in need of new sources of revenue. The realistic solution in a commodity market is to cut costs and built scale: an analysis of Carlos Slim’s move is that this is exactly what is he is setting out to do. The highly fragmented European market will see much more suffering for telcos in coming quarters, so the time is ripe for significant consolidation. Dutch financial regulations stipulate that whatever concern acquires 30% of voting rights in a company must make a formal takeover bid for the remaining shares. When KPN agreed to sell its German unit e-Plus to Telefónica a few weeks ago, this prompted Carlos Slim to terminate an agreement between América Móvil and KPN by which the former agreed not to increase its stake in KPN above 30%. That América Móvil has now made another bid to take over the remaining 70.2% of KPN which it does not own was a move in waiting. At €2.4 per share, it values the stake at around €7.2 billion. The sale of E-Plus remains in the balance: not only does it need to clear German regulatory hurdles but it also needs to clear Carlos Slim. 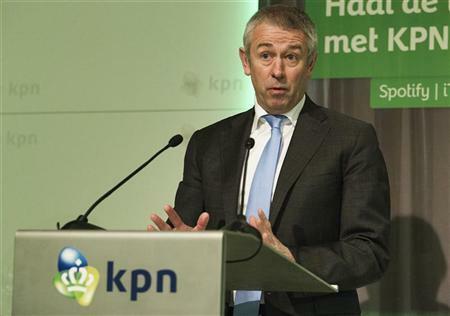 His support of this transaction possibly rests with the result of KPN’s shareholder vote on his bid for KPN itself, but the sale would defeat América Móvil’s broader ambitions to utilise KPN’s assets and footprint in Germany, the Netherlands and Belgium as a vehicle to move deeper into European markets. There cannot be much affection for Telefónica either; the company is as busy as Mr Slim in branching out across Europe and any advantage gained there more broadly help the company which represents his main competitor in South and Central America. The key Movil strategy (see sentences I made Bold) is according to Paul Budde “cut costs and build scale in Europe”. 3. My guesstimate how Movil can do that: cut cost and build scale in Europe. The other trans-national mobile telco’s like Vodafone, T-Mobile, Orange and Telefónica (originaly from closed culture ‘nation states’ UK, Germany, France and Spain) know how difficult and fragmented & cut throat marketingwise that is in Europe. It makes sense however to look at the demandside. What do telecom& internet clients DO, want and why? a. The demand to do MOBILE INTERNET with smartphones everywhere and every moment of the day is viral and exploding. It has surprised push economists and telco’s alike, who are now struggling to invest in extra capacity (basestations and fiber optic backhaul networks) and in 4G (LTE new technology) to cope with the sudden growth in digital traffic and to avoid congestion in dense metro area’s. Also the telco’s must encourage shared Wi-Fi access in those area’s to offload their networks. Examples of popular bandwidth eating applications are WhatsApp (messages) and Instagram (photo sharing) both now including short video shots. Smartphone and tablet use, not only by the young is exploding, at home or in school (via SURFnet !) but also mobile on the move and in offices and shops: nomadic in urban area’s. To cope with the dense area demand Fiber Optic infrastructure is needed there and microcell & metrocell basestations to handle Internet Protocol and carrier Ethernet datatraffic. b. 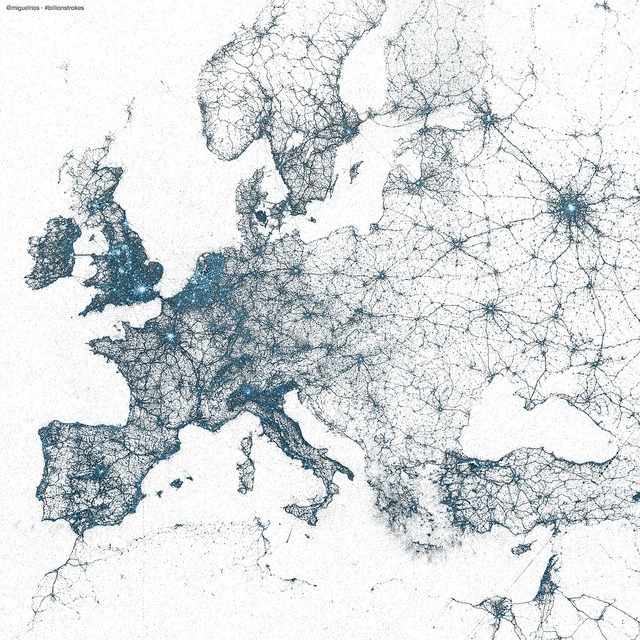 Those densely populated urban area’s are in fact City-Regions like London, Amsterdam, Rotterdam. As Richard Florida has described, based on statistics, most of those city-regions grow much faster in every aspect than the less dense villages etc if a number of ingredients are in place at the same time: Talented young students and professionals; Technology: high bandwidth fixed and mobile network access; Tolerance: networked collaboration between very able unique specialists who find synthesis and valuecreation in contributions that are different from their own. My addition to this view on developments is that these 3 T’s not only work within bigger cities but also in a mixture of things that each enforces other components in strings of city regions I call “corridors”. It has been reported that recently nearly everything in for instance Corridoria is booming and blooming: production, R&D, SME’s, logistics, passenger and freight transport, jobs, energy distribution, sports, FabLabs, culture, care. And…. demand for plus money to spend for new telecom networks and services. For instance mobile Twitter use was charted recently and shows these corridors. 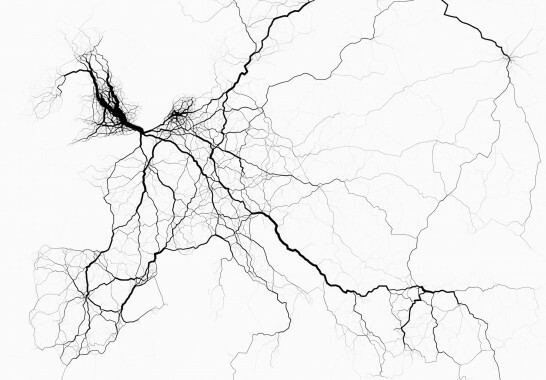 in Europe and the major transport lines (see below) over that you see the Corridoria boom string appearing. 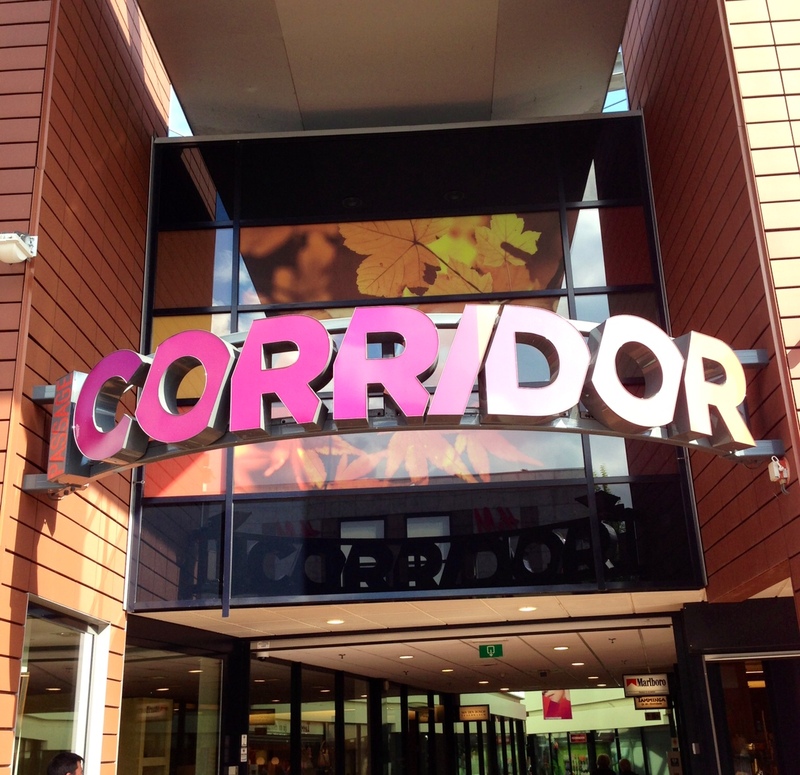 “Corridoria” is the string of cities running from middle England, Rotterdam & Antwerp, Eindhoven, Venlo, Rhine-Ruhr area (Duisburg, Frankfurt), along the Danube to Bavaria and Austria and then all the way to Constantinopel and into Turkey. With this as a background it is obvious why Movil has interest now in both The Netherlands (with networks in Germany and Belgium) and Austria ! Such long term “connecting the dots” policy in and around Corridoria will bring Movil fast growing and very profitable commodity telecomservices. 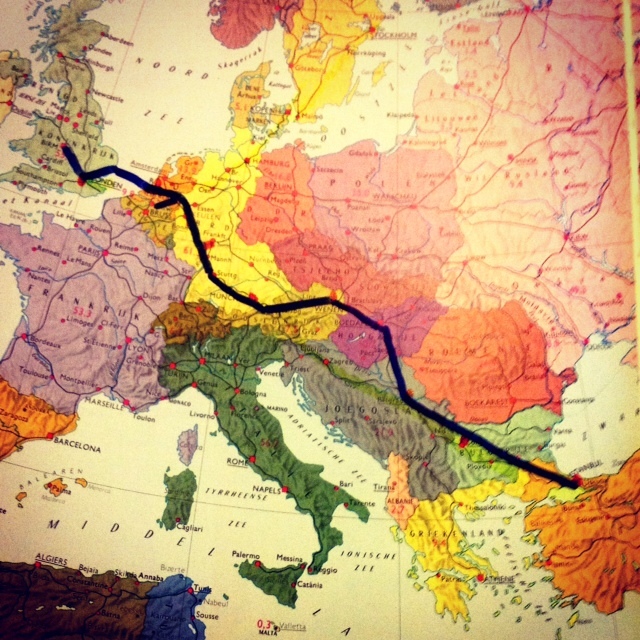 UPDATE August 14, 15:59 Amsterdam time. 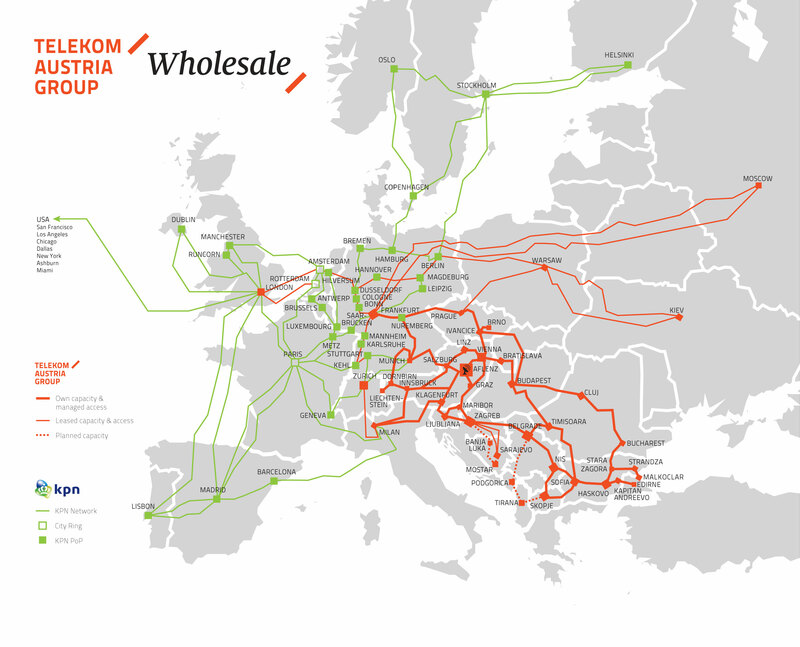 AFTER I wrote the above blog, somebody informed me that yesterday KPN and Telekom Austria have signed an agreement to build a joint fibre backbone network across Europe, with Telekom Austria’s strengths in CEE complementing those of KPN in WE. Slim now owns about 27% of Telekom Austria and must have been influential in getting these two telcos to go to bed in this way. Dinsdag 13 augustus 2013 12:41AMSTERDAM (Dow Jones)–Telekom Austria ag (TKA.VI) meldt dinsdag een samenwerking met Koninklijke KPN nv (KPN.AE) te zijn gestart. De samenwerking betreft het delen van glasvezelnetwerken, waardoor een van de grootste glasvezelnetwerken van Europa ontstaat. Daarbij verbindt centrale locatie Frankfurt, met Wenen als back-up, de vier belangrijkste Europese internet exchange points – Londen, Amsterdam, Parijs en Frankfurt – met elkaar. Het gaat daarbij om netwerken voor ethernet, ip vpn, wavelength en ipt. Austria Telekom meldt dat de bedrijven over 173 ‘points of presence’ beschikken in 35 landen in Europa en Noord-Amerika. Daarnaast delen de bedrijven technologische kennis en lokale kennis. This entry was posted in corridors, European Telcos and tagged America Movil, KPN. Bookmark the permalink. Sorry Mr Broodjejaap ! I m not agree with your statement,because when we r taking About the People in Amsterdam, France and Italy may be less thrilled but in this day’s they r in pick point of improvement and if any county or Organization Give some help regarding the telecom then it’s will be best thrilled country.